Founded in 1851 - Prestwick started the Open Championship in 1860. The course was originally 12 holes and became 18 in 1883. The club has hosted 24 opens - the last one in 1925. The club still hosts major amateur championships having hosted the Scottish Amateurs in 1998 and will host 'The Amateur in 2001' during the clubs 150th anniversary year. Club facilities and amenities include Private members club, excellent visitor facilities, two restaurants. A77 from Glasgow - near airport and next door to railway station. Information herein provided by the club 15 March 1999. 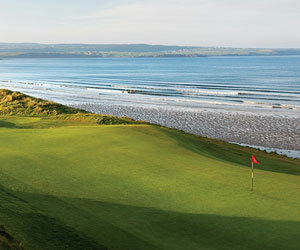 A classic links course carved out of the dunes - very tight and demanding - A number of blind seconds shots. A great, fun course. Not to be missed if you are in Ayeshire. This is the way golf was and ought to be, but an architect who designed a course like this today (in the USA) would be run out of town. If you want to score to your potential the first time out, you'll need a good caddy. We did not take caddies and we made clubbing and direction errors, but we still had a blast. As others have reported, a very friendly place for visitors. Sir It has been my privilage to have been the "Head Professional" at Prestwick Golf Club these past 42 years,(I have the honour of being only the 5th professional since 1851) I am fully aware that the course has blind shot,s narrow fairways,etc, but I have never heard in all the time that I've been there not having had fun playing it. 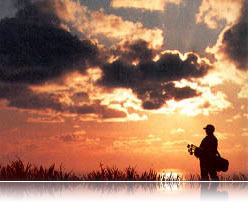 To tread in the footsteps of Old Tom Morris must be something worth while. This is a must!!! If You don't know what a bunker is - visit Prestwick and hit the ball either into Cardinal bunkers or Sahara. We played without caddie - I think it is a good help to have one. The wind is blowing hard. The tenth 454 yards par 4 against the wind. Not even Driver driver-iron1 (good shots) could reach the green. Try to have Your lunch in the Dining room - (jacket and tie) and relax in the traditions of and old course. This is one of the very great courses and it will make you humble when you stagger of the green satisfied with a bogey or even a double-bogey. The first several British Opens were played here. Trick golf! No less then 10 blind shots, some from the tee, most 2nd shots. One par three is over a hill. You do not see the green! Our foursome all had caddies, an absolute must. Three of us eagled one of the par fives, each with puts of 40 ft plus. The 17th had a narrow driving area along a ridge. Blind shot over the hill across the Sahara (a massive bunker) to a green which is upsloped in the back. Two of us drove to the middle, 129 to 135 yards from the hole. Our caddies clubbed both of us at 7 irons, essentially a 150 yard club. We both went over different parts of the hill, per our caddies. My friend was 6 feet right of the pin when we went over the hill. I was 7 feet left. Never would have guessed. Would love to play a second time, now that we have visualised the course. What a wonderful golfing experience! There are some truly quirky holes that no one in their right mind would design today. There are others that any club would be proud to have. My father and I played Prestwick on 3 different trips to Scotland. We befriended a member who was also a member at Royal Troon. Troon was the sterner test of golf but with a membership and atmosphere to match. Prestwick was just fun and our friend made no pretence about which was the friendlier place. In my den is a menu from the Cardinal Room he insisted I take. Just as he insisted we drink a shot of kimmel before we went out to play each time. The last hole I played with my Dad in Scotland was the 18th at Prestwick. From the tee you see the town in the distance. I have a picture of my father and our wonderful friend that I took of them there. Prestwick is one of the most unique courses I have ever had the pleasure of playing. But is not a course that impresses you with boldness and strong demanding holes. It does however provide a very good test through the use of unique challenges, from the visual tricks played with Pow Burn and the cardinal bunkers on the first par five to the Himalayas and Alps on holes later in the round. In fact, I have become more impressed with the course as I look back upon the experience and remember the nuances of the layout. Yes, there are several blind shots, and the dunes provide for some unlucky bounces, but they also afford some lucky ones, as well. A definite MUST PLAY with very friendly members.